Designed to get the Active Patient Back in the Game! We now accept CareCredit so you can get the treatment you need to get and stay healthy. 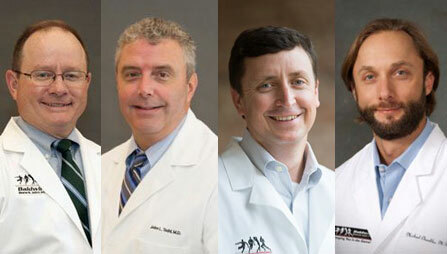 Baldwin Bone & Joint is a group of fellowship-trained orthopaedic surgeons, along with an experienced clinical staff. We are committed to providing each patient with the highest-level of specialized orthopaedic care in an environment where each individual and their family members are given time to ask questions and discuss their concerns. "Within two weeks after the surgery I was back playing golf again. I was about to be out of the game. So this is what has given me the opportunity to be back in the game of golf, doing the things I want to do... And that's all due to being able to get these shoulders back to where they needed to be. The process is just so smooth. He does a good job, he explains everything to you. Everything just went very well. If I ever have problems with any other joints, that's where I would go -- to Baldwin Bone & Joint." 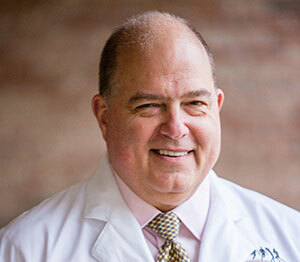 – Bill Hanna, Patient, Dr. John Todd, Baldwin Bone & Joint, P.C. Daphne, AL. 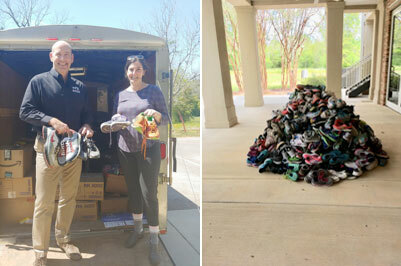 (April 4, 2019) – Local runners and exercise enthusiasts may have put a lot of miles on old running shoes, but when they are donated to the “Many More Miles” campaign, those shoes will come to life again as they land on the feet of someone who really needs them. Daphne, AL (January 25, 2019) – Daphne-based Baldwin Bone & Joint is pleased to announce the recent expansion of hospital coverage to include South Baldwin Regional Medical Center (SBRMC) located in Foley, AL. 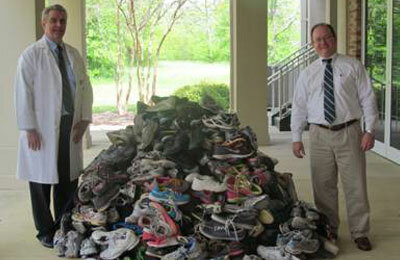 The SBRMC hospital board recently formalized medical staff privileges for Drs. 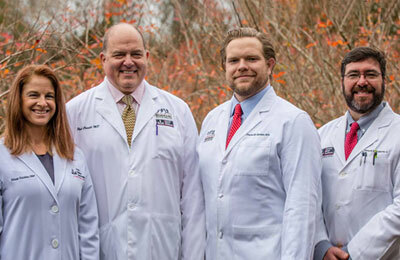 John Todd, Drew Corbett, Matthew Goldman and Michael Chamblee, board-certified, fellowship-trained orthopaedic surgeons with Baldwin Bone & Joint. 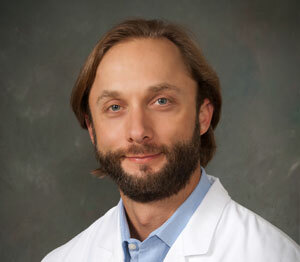 DAPHNE, AL (January 23, 2018) – The Spine Institute at Baldwin Bone & Joint recently expanded to include Dr. Charles Gordon Jr., the only fellowship-trained neck and spine surgeon on the Alabama and Mississippi Gulf Coast who performs minimally invasive neck and spine surgeries in Mobile and Baldwin County.